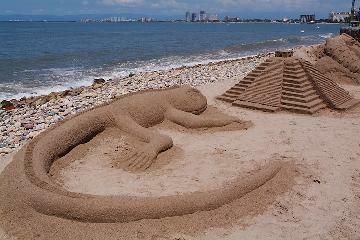 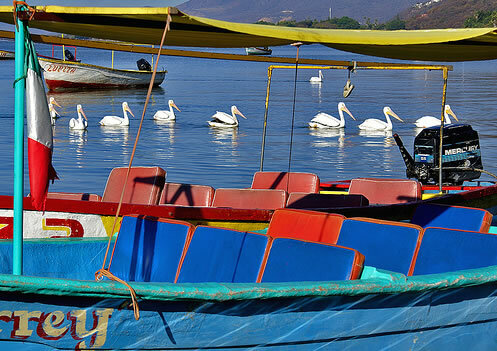 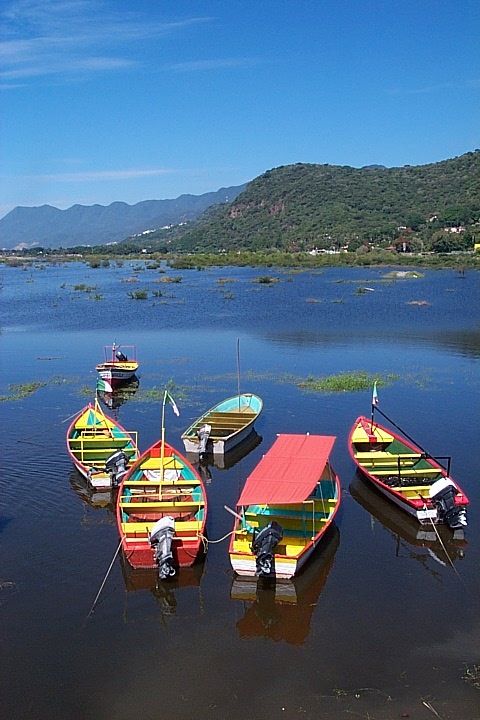 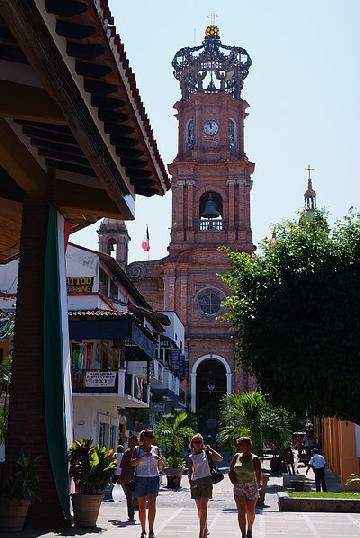 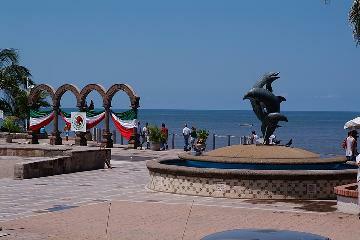 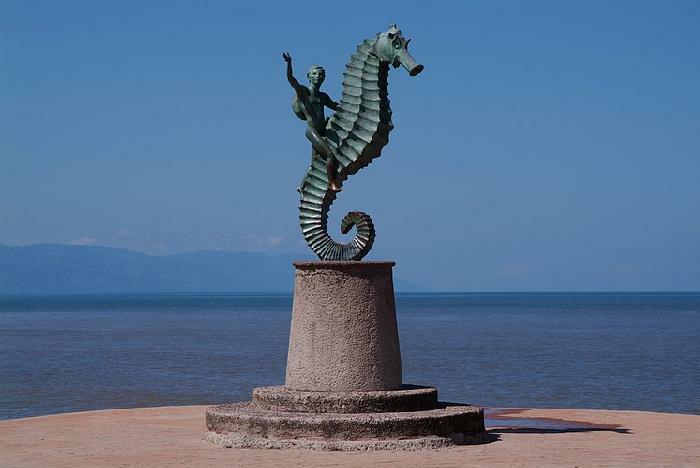 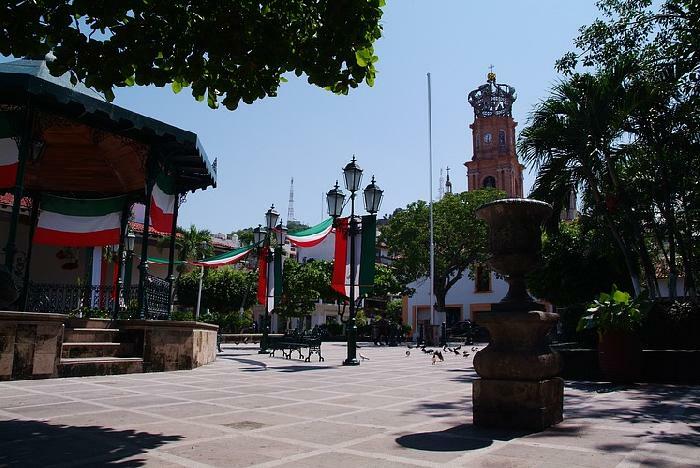 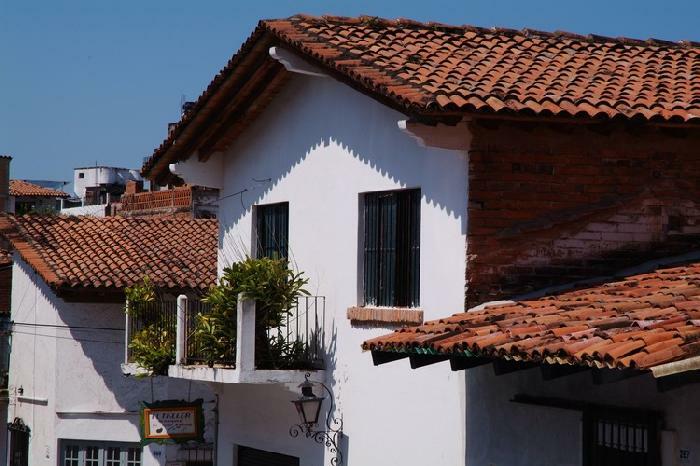 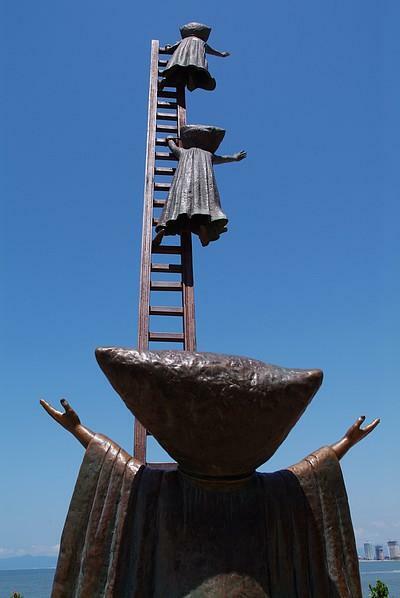 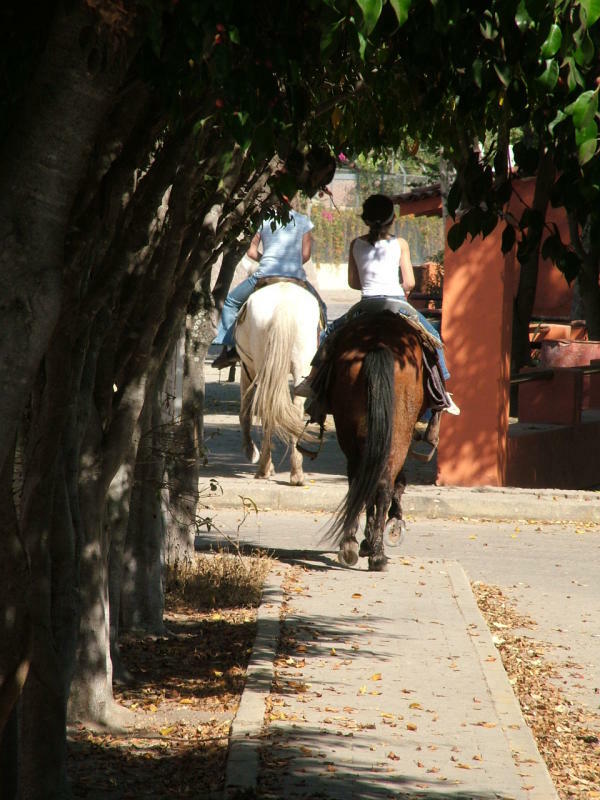 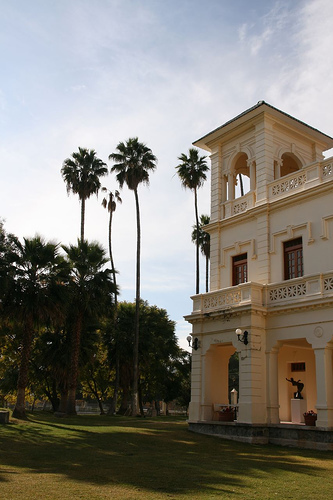 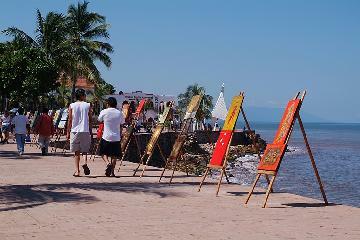 Puerto Vallarta is at 4 hours from Chapala by car. In airplane it is at 30 minutes. 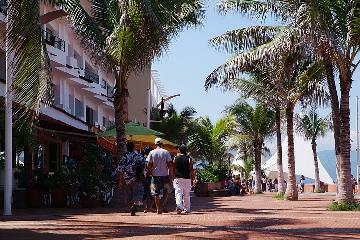 Enjoy of beutiful beaches and world class hotels. 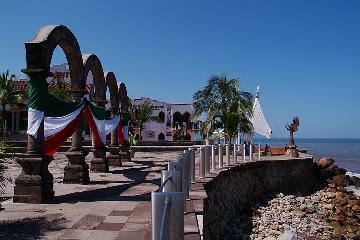 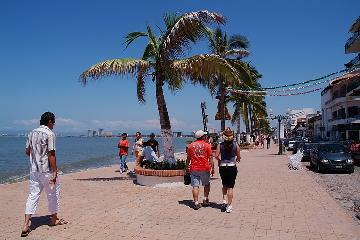 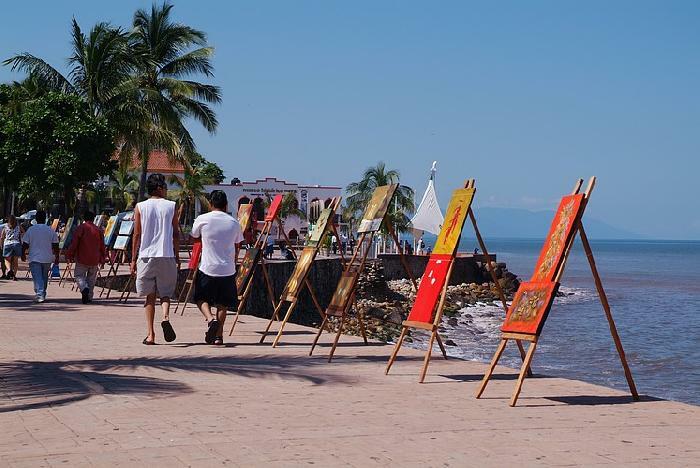 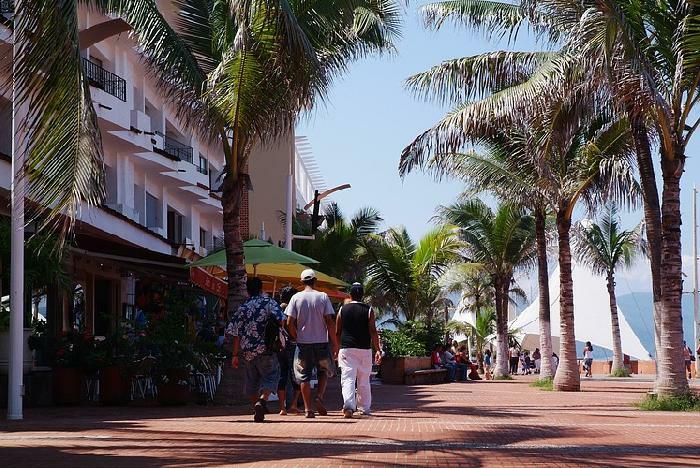 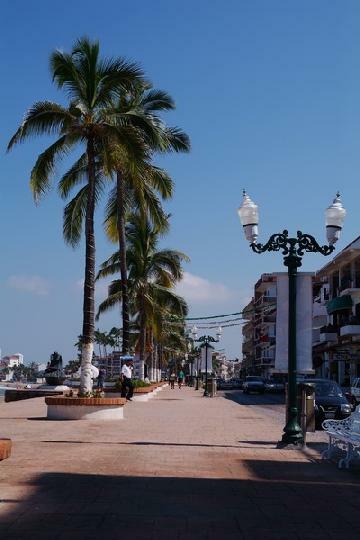 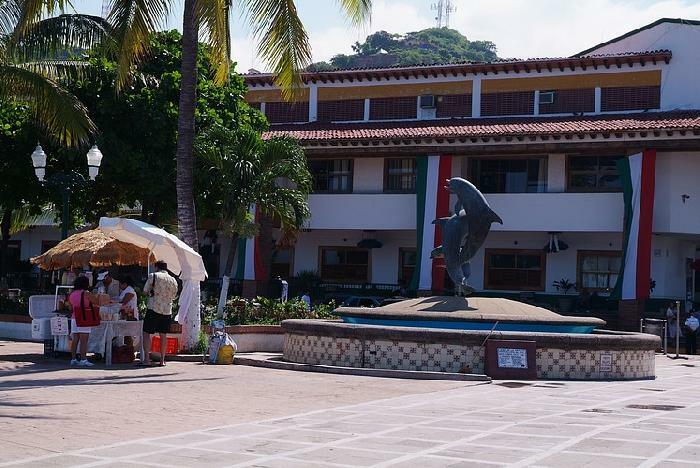 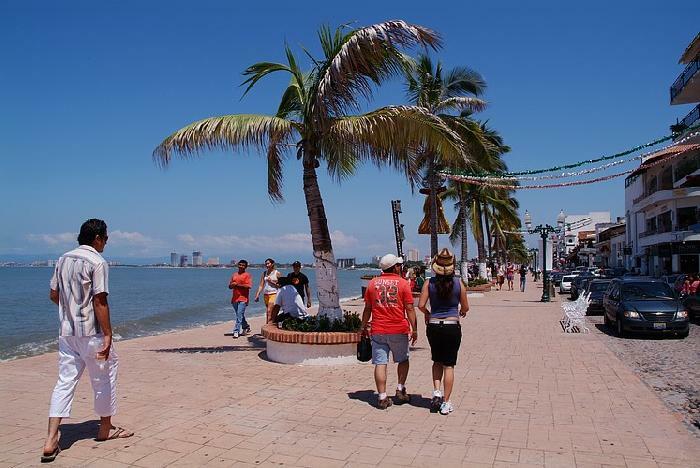 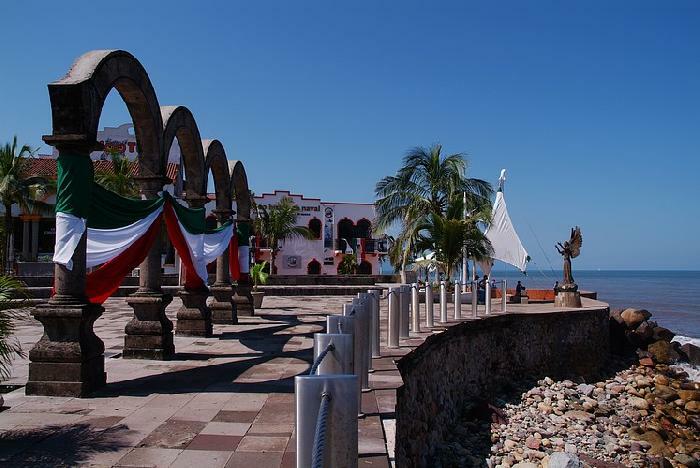 Stroll along the palm lined areas of the Malecon (boardwalk) in Puerto Vallarta. 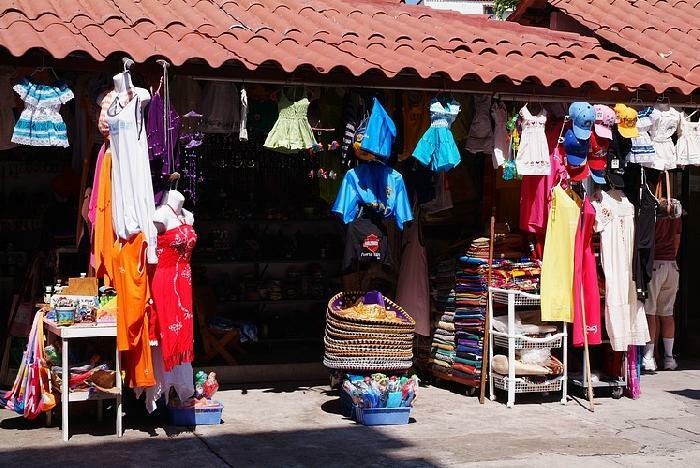 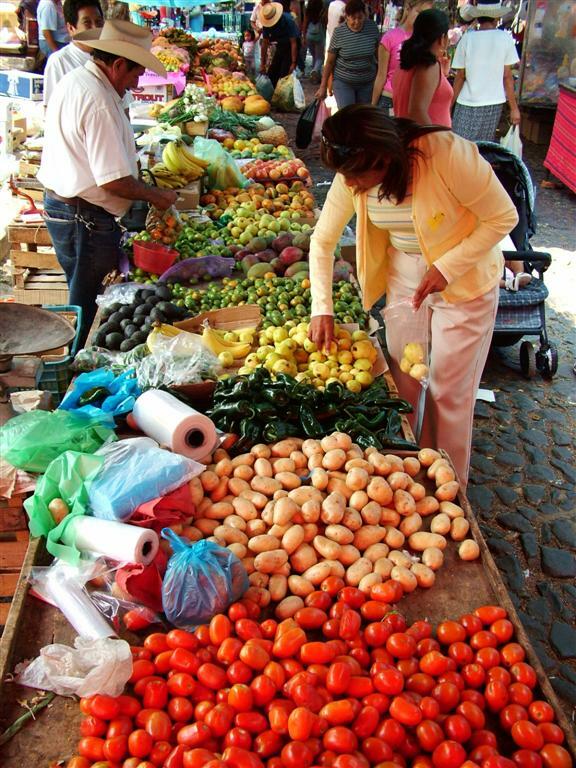 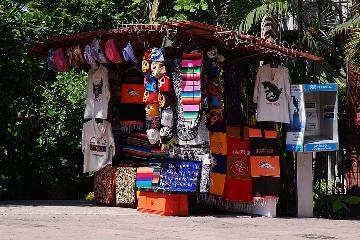 Small market stalls are part of Vallarta's street life. 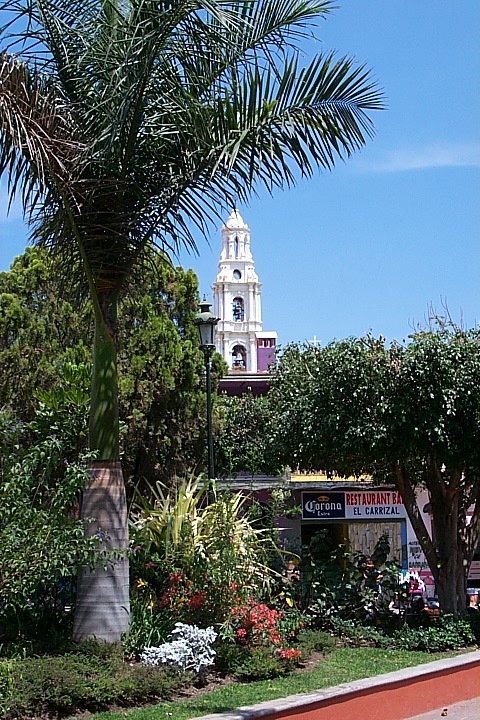 The town's principal church is just off the main plaza. 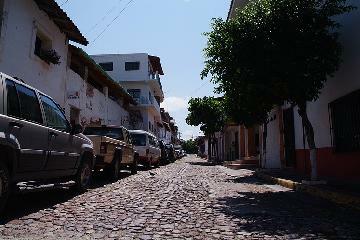 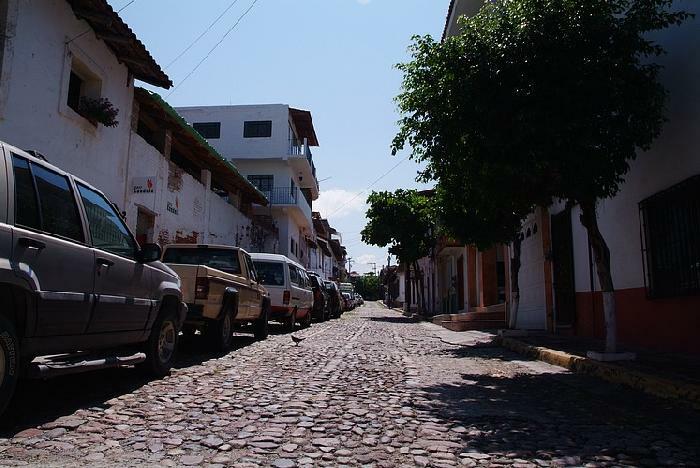 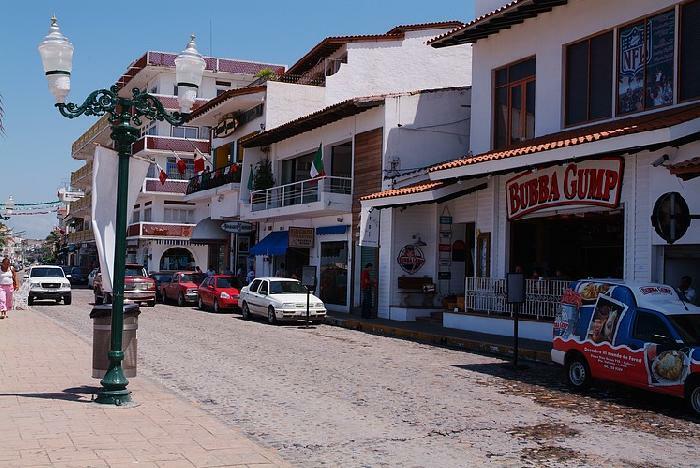 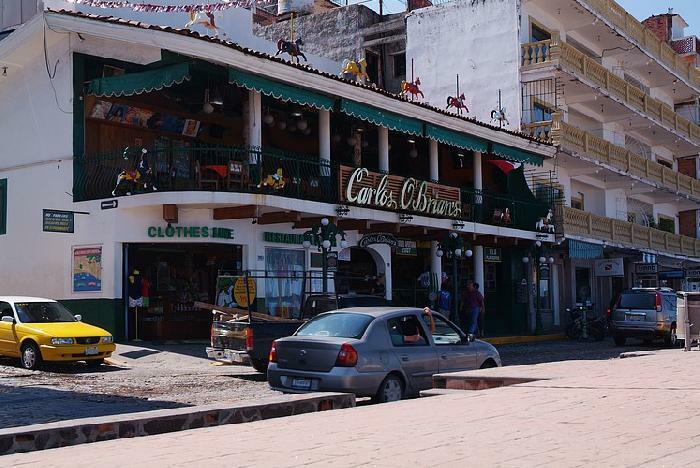 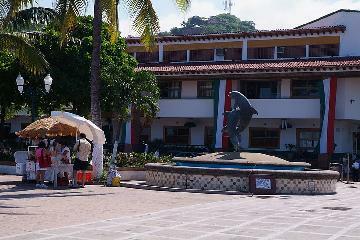 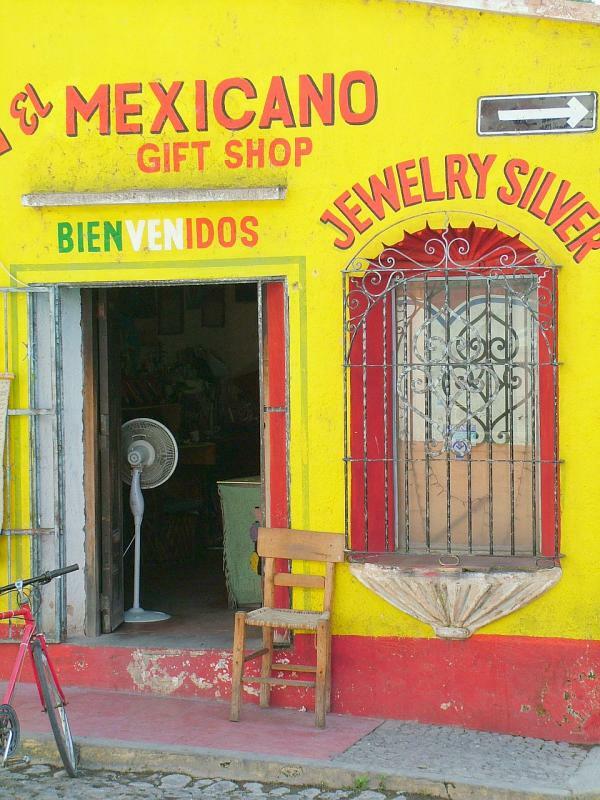 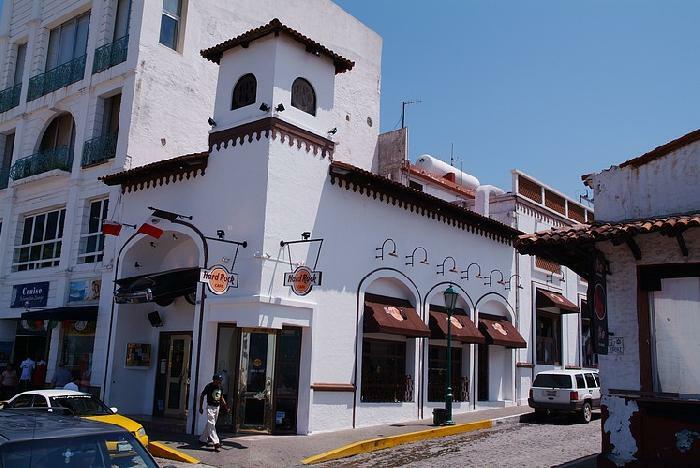 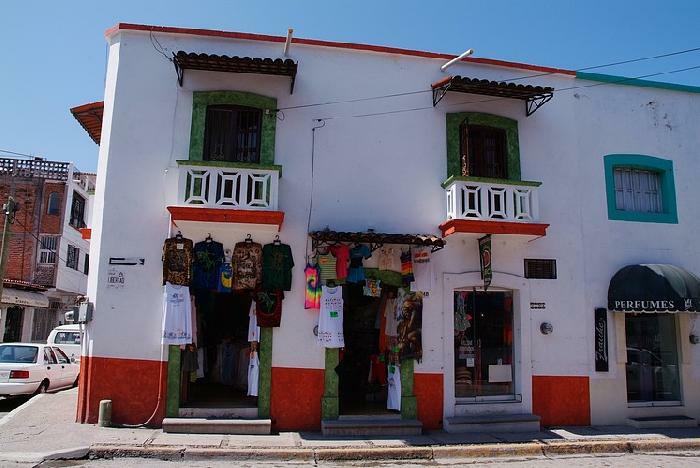 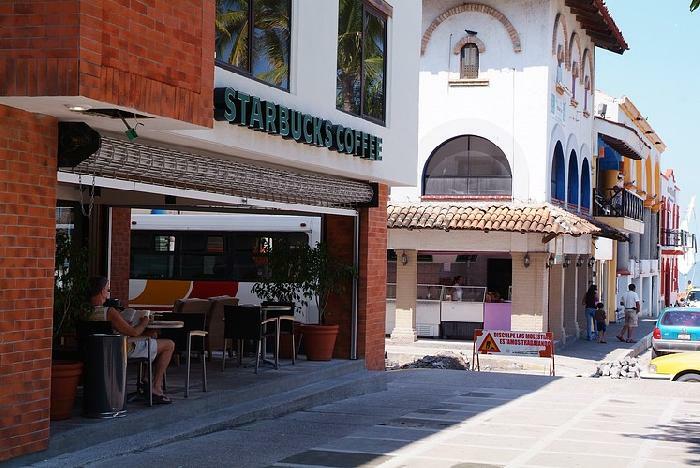 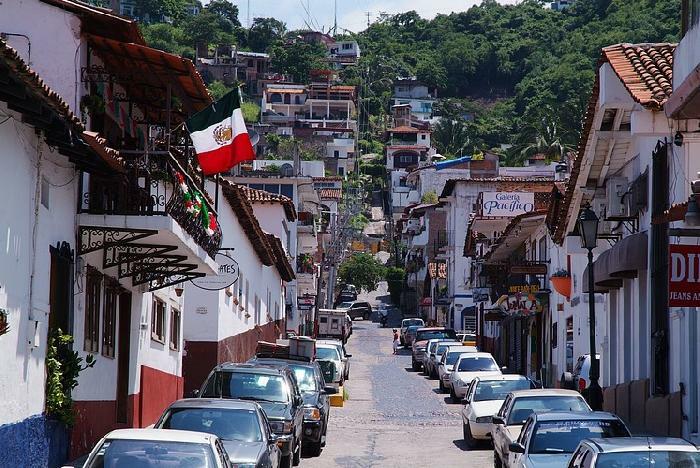 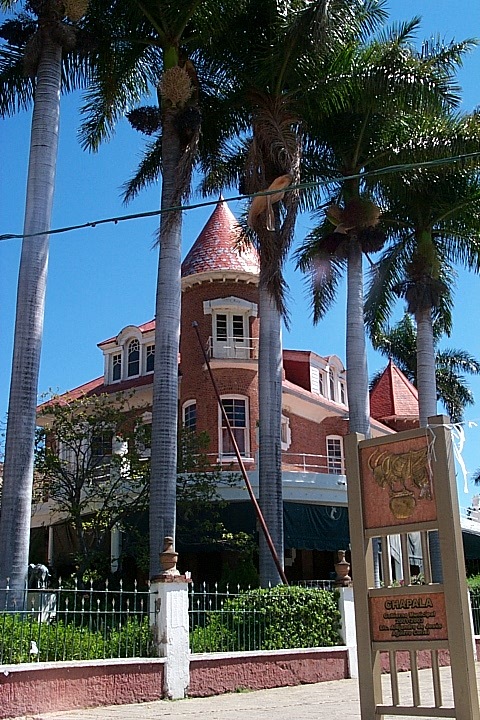 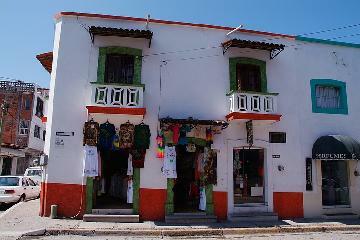 A typical street corner in Puerto Vallarta main street. 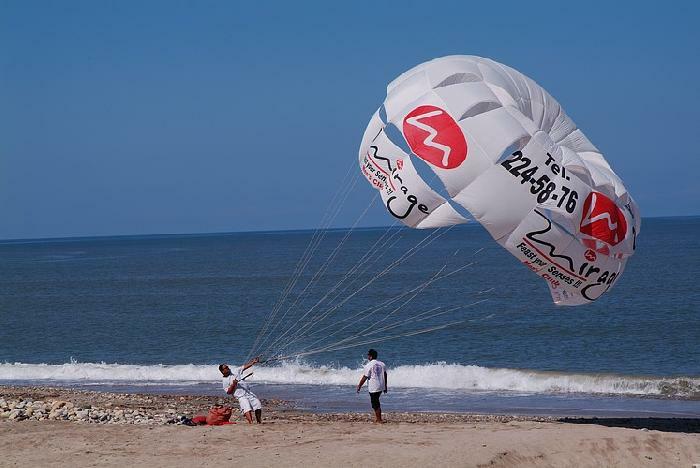 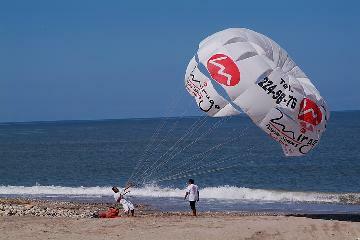 Get a bird's-eye view of Puerto Vallarta if you have the courage to paraglide above it. View of the town's main plaza with the church tower in the background.